You can also let your representatives know where you stand on net neutrality and join a state-based campaign to expand voting rights. Take Action Now gives you three meaningful actions you can take each week, whatever your schedule. This week, let your representatives know where you stand on net neutrality, fight for nearly 200,000 immigrants from El Salvador, and join a state-based campaign to expand voting rights. Sign up here to get actions like these in your inbox every Tuesday. This week, Democrats announced that they will force a vote on a Congressional Review Act resolution to overturn the FCC’s disastrous plan to dismantle net neutrality. That means that all senators will have to go on the record with where they stand on the future of the Internet. Sign the “vote for net neutrality” pledge launched by Fight for the Future and let your elected officials know that you’re watching. Just before the 2018 midterms, you’ll receive a text message letting you know how they voted. In the meantime, they’ll receive a message telling them that if they fail to defend net neutrality, they’ll lose your vote. 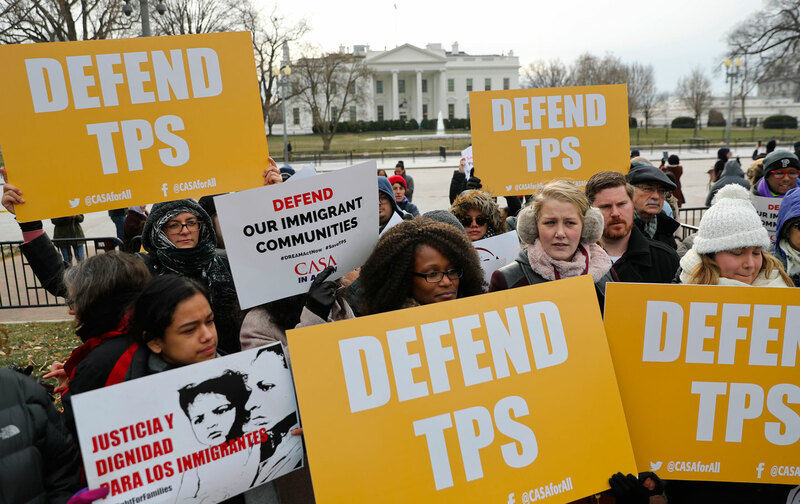 Yesterday the Trump administration announced that it would end Temporary Protected Status (TPS) protections for immigrants from El Salvador. Nearly 200,000 people could be forced to leave the country, separated from their families, and sent to a country plagued by violence and poverty. Read and share Sasha Abramsky’s account of the consequences, then call your senators and representatives at 202-224-3121 and demand that they defend this crucial program. You can also follow #SaveTPS on Twitter to stay up to date on more actions you can take. Tomorrow, the Supreme Court will hear arguments in a case challenging Ohio’s policy of removing voters from the rolls for not voting, just one of the many forms of voter suppression we have to confront before the upcoming 2018 midterms. Fight back locally by joining the “Let the People Vote” campaign launched by the ACLU’s People Power initiative. Each state is focused on a policy specific to their region; that includes online voter registration in Iowa, early voting and other reforms in New York, and restoring voting rights to people on parole in Colorado. Find directions for joining the campaign in your state here and get started.